Tsukuba Road (つくば道) is chosen as one of 100 best ways in Japan. It was used to be the leading road to Tsukuba Shrine located in Tsukuba, Ibaraki Prefecture. 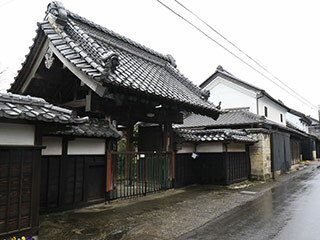 There are many traditional houses. 0. at TX Tsukuba Station. 1. use a local bus to Tsukubasan. 3. use a local round-trip bus to Hojo Nakamachi. Mt. Tsukuba is one of the sacred mountains that highly respected by people since the ancient period of Japan. This road was built during the time of the third Shogun of Tokugawa, Iemitsu.